Unique soundscapes. 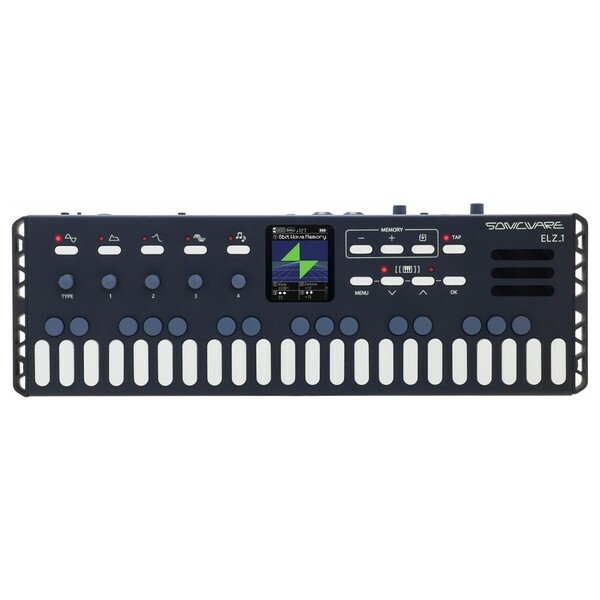 The Sonicware ELZ_1 synthesizer is a powerful synthesizer with a particularly distinct sound. Sonicware has developed their own synthesis engines which include FM, 8-bit wave memory, noise-engine, and granular all from the ground up. For a fresher look at the world of sound creation and design. 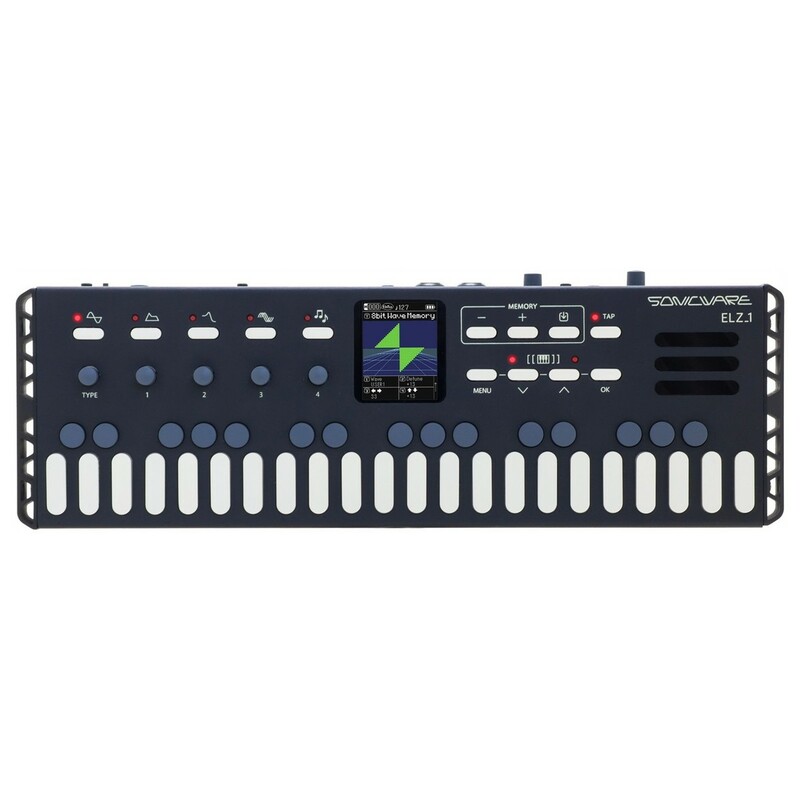 This incredibly original synthesizer allows you to develop your own defined voice, the way you want to. The ELZ_1 is very portable and allows you to synthesize any type of sound - from the beautiful to the gritty, from the wide to the focused. The ELZ_1 features a wide array of 17 different send effects from distortions, to delay, to reverbs. Any sound that you imagine, you can now create. Portable power at your fingertips. The diversity of the sound engine is what sets the ELZ_1 apart from the rest. It features a huge amount of different synthesis types. FM, 8-bit Wave Memory, DNA, Granular, Standard OSC, Low-bit OSC, Custom OSC, and two noise engines - called Masked and Sand. This wide range of tools means that you have a massive scope for sound design. 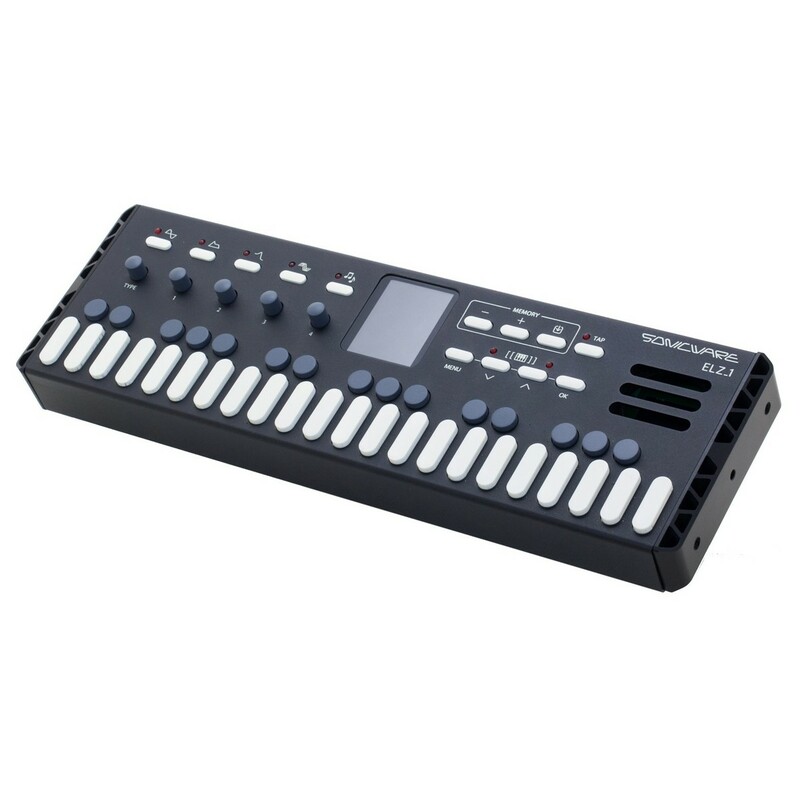 Allowing for a deep dive into the world of synthesis in a very portable form. Filters, Effects, Arpeggiator. All the tools you need to stand out. A wide range of filters are on offer. From LPF-6 to Notch. Giving you great sound crafting abilities. Add the final touches to your sound with great effects - Distortion, Chorus, TapeEco, AutoPan, and many more. And of course, the arpeggiator allows for creative expression with many different settings, Up, down, random, and more. No matter where you want to perform. The ELZ_1 has you covered. The unique sound design is ready to add layers to your band's performances, leads, pads, chords, it all sounds great.